Summary: Roles allow you to divide your Users into groups that have different permissions thoughout your department. For example, mechanics don't need to have access to your User Managment page, but they need access to your Work Orders. Your department can have as many custom roles as you want. 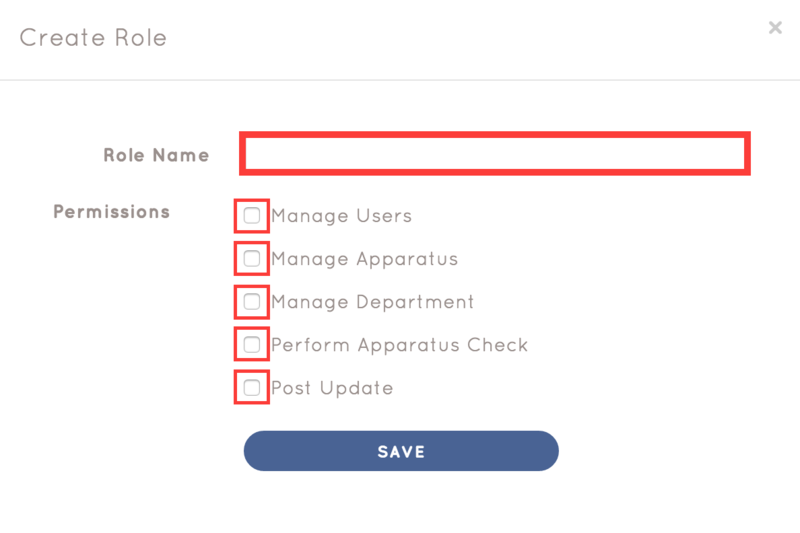 Assigning a user to a role can be done after the role has been created. For information on how to assign a user to a role, click HERE. From the homepage, click on the Users tab. From the Users menu click "Permissions. Then, from the User Permissions Page, click the "Create Role" button at the top center of the screen. On the Create Role popup, Fill in the Name and Permissions of the Role. 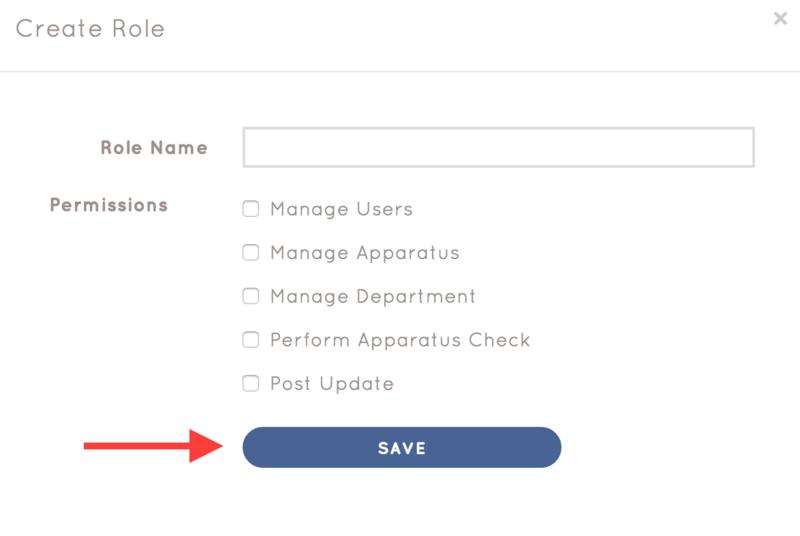 After inputting all the necessary information, click "Save"
You are now ready to assign that role to users from the User Managment tab!